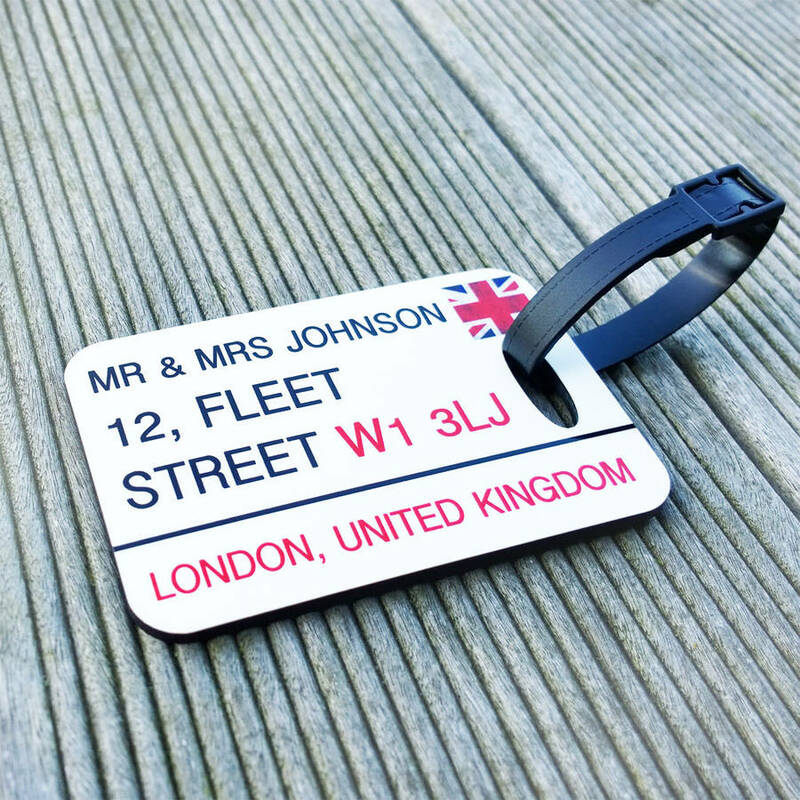 A beautiful set of 3 personalised luggage tags. 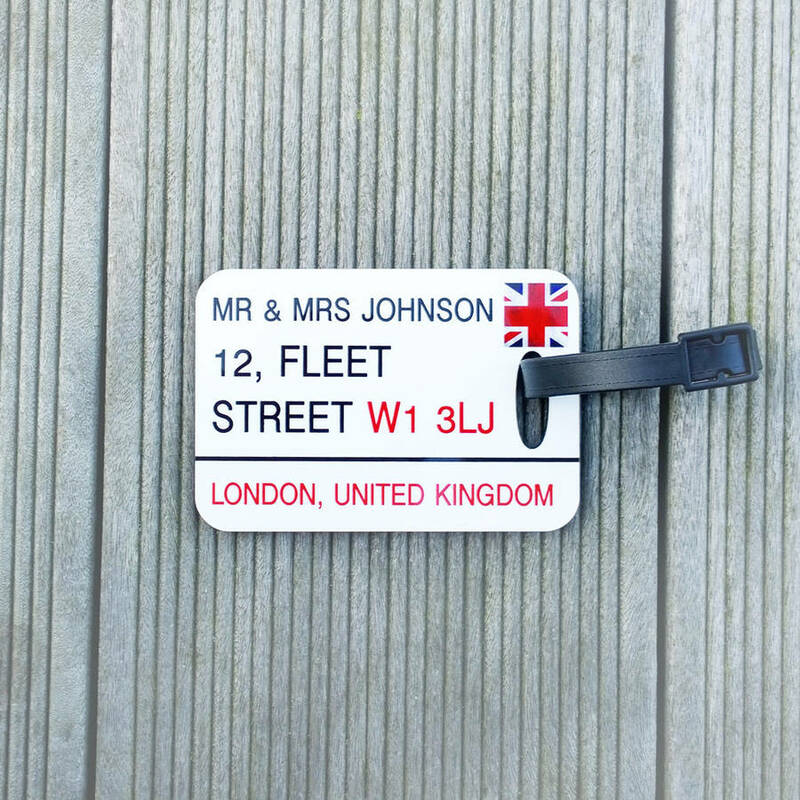 This personalised set of three luggage tags is modelled after iconic British street signs. You can personalise the luggage tags with your name and address and you can have an icon of your choice featured on the design - a Union Jack or an outline of Sherlock Holmes. They are perfect for anyone going on holiday, honeymoon or just a quick getaway. The luggage tags come with clasps to attach them to your suitcases. And the best thing? With our personalised luggage tags you'll be able to recognise your suitcases from a hundred feet away! For occasions: holiday, wedding, travel, honeymoon, father's day, mother's day, christmas. Personalised (write your name and address) + a choice of icon.